Here are a few “rule of thumb” guidelines we use. 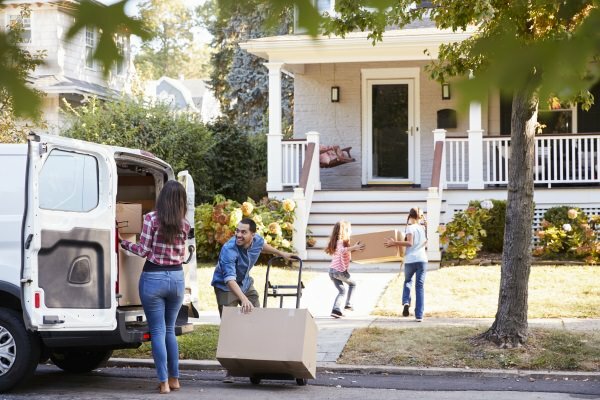 Make an estimate (we imagine that the box was in the place of the item/s) of materials you think would be appropriate to your move and double it. Usually if you don't use all of your materials you can return them and get a full refund. Remember to aim to get as many items as possible into boxes so your furniture removal will be efficient and timely. Free Moving Dollie included in all orders over $88. Plastic moving boxes – easily stackable with a simple to close lid. With 2 convenient sizes, 50L for heavy items such as books and 75L for bulkier items. Wine Box – single cardboard layer box specifically designed for transportation of wine bottles. Remember that if you have a wide array of different sized boxes, this makes loading more difficult and time consuming for your removalist, and yourself too. Men That Move supplies plastic moving boxes free of charge for each move, wine boxes and port-a-robe boxes can be bought or hired from our team. If you are moving into storage, we can also supply you with cardboard boxes which are better designed for long term storage. How To Pack A Box Properly. Wait, wait, weight. Do not over pack boxes by putting as much as you can into them. As above we advise ordering more boxes than required so you will not run out. Make sure the box is the right way up before you start packing into it (look at the image on the side of the box). It is always easier and more practical for your removalists to upright the image on the side of the box when loading than trying to read what you have written on the box each time they handle one. Our plastic boxes do not require taping shut, for cardboard boxes we recommend using a very good quality packing tape. We use “Vibac” Italian made packing tape. Poor quality tape will not hold well over the course of your furniture removal. Tape twice on the bottom of the box where the flaps come together, once on the top of the box where the flaps come together and clearly label with a permanent marker on the tape itself. Marking boxes on the tape ensures you can return or re-use them. Simple and instructive labels are best e.g. Dining – VERY FRAGILE – crystal ware. After using our plastic boxes we guarantee you will never move with cardboard boxes again! watching our team easily trolley up to 5 boxes at once you will be amazed how quickly the truck is loaded with your belongings!